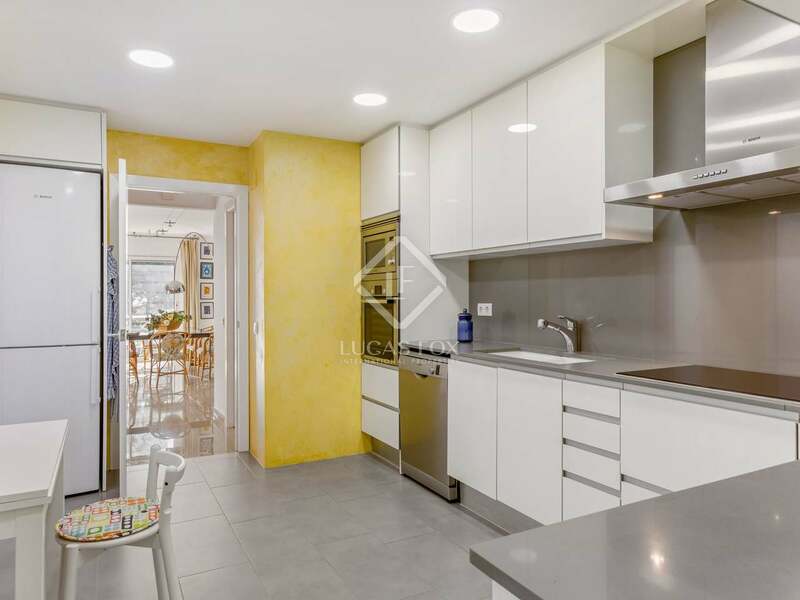 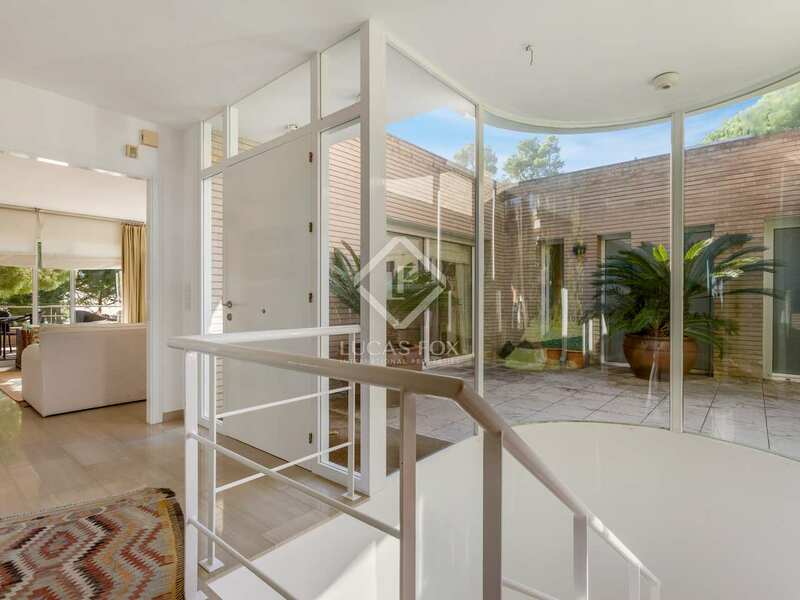 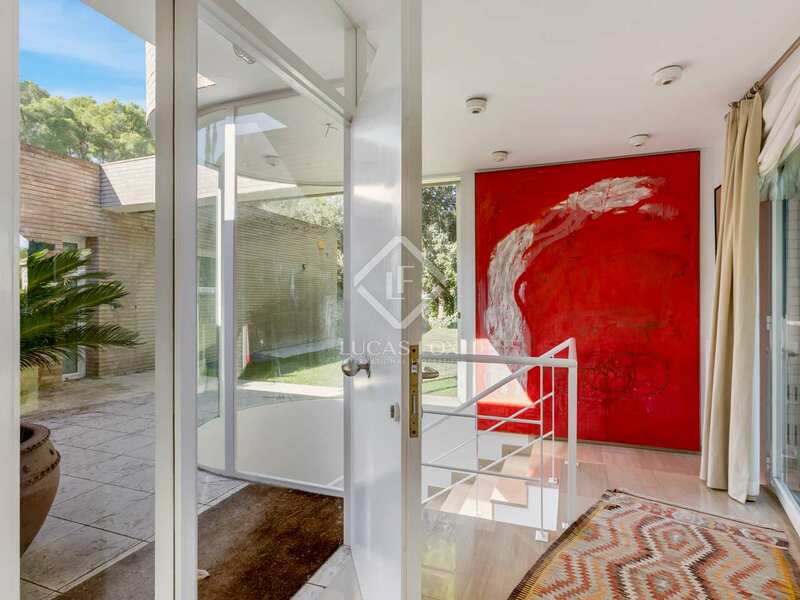 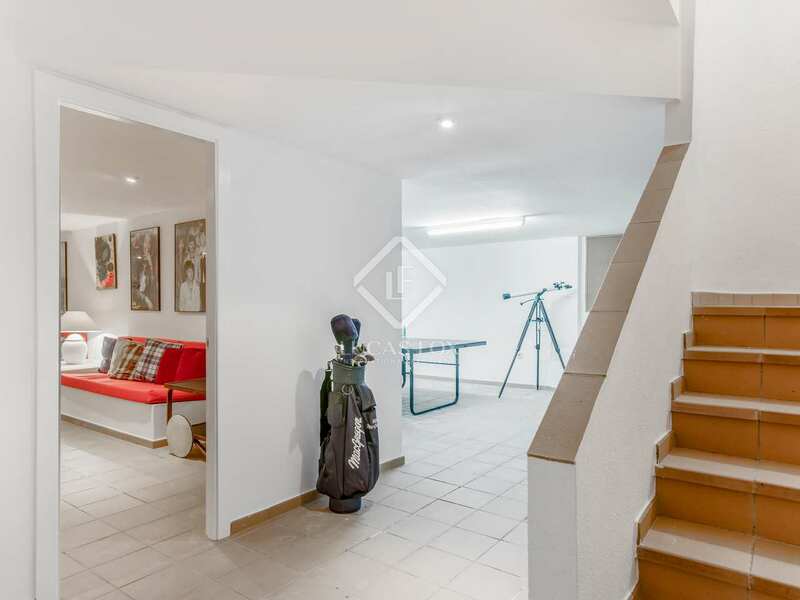 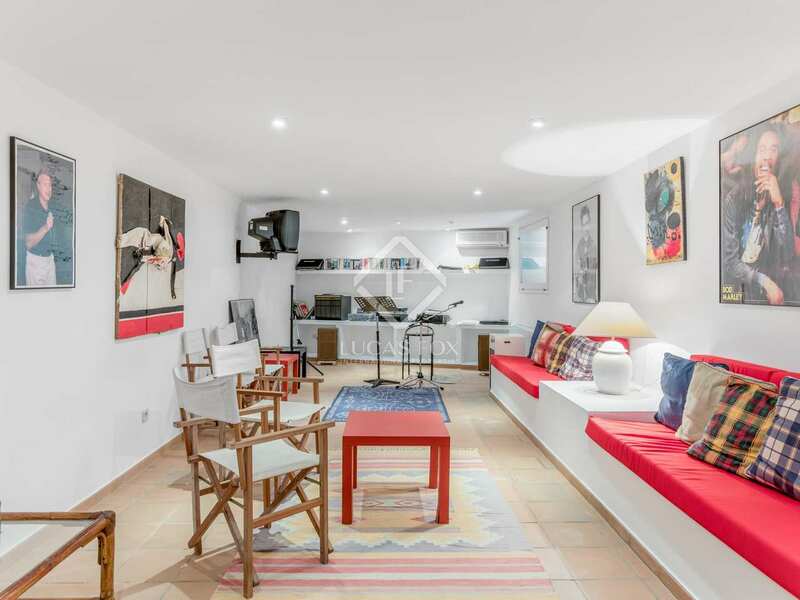 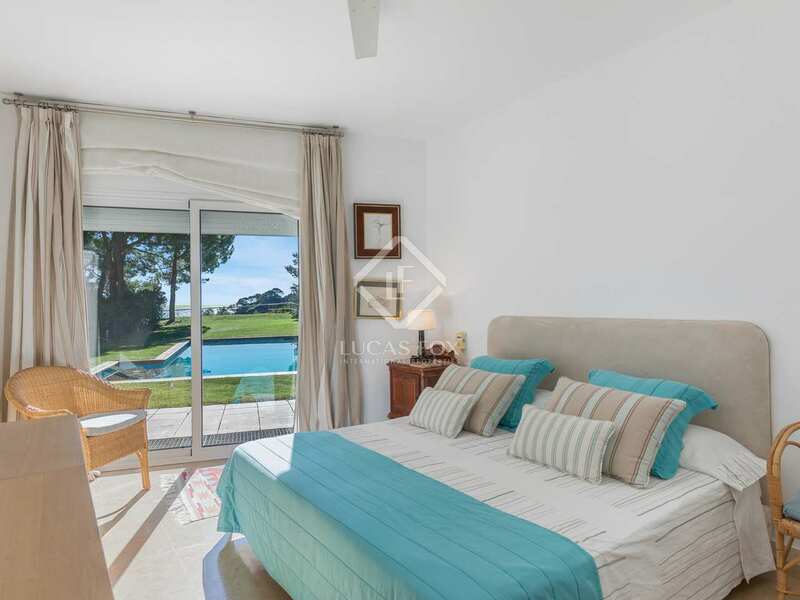 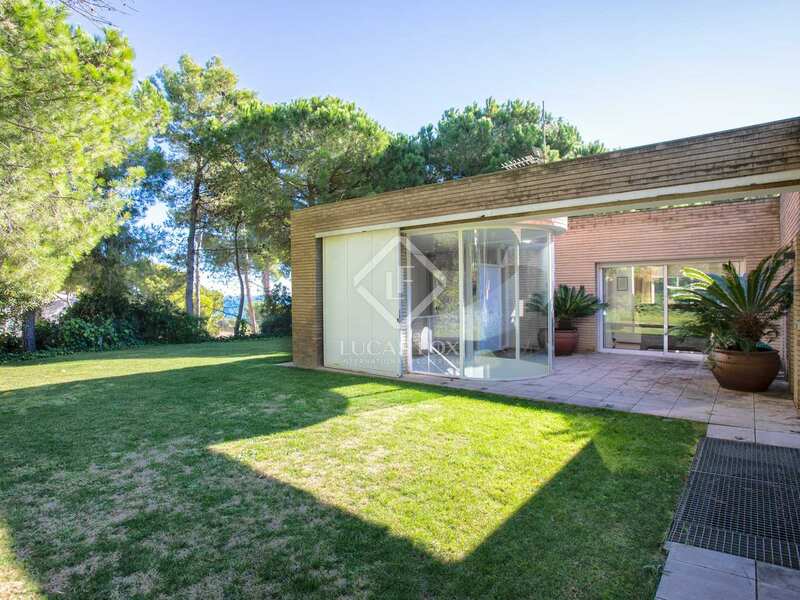 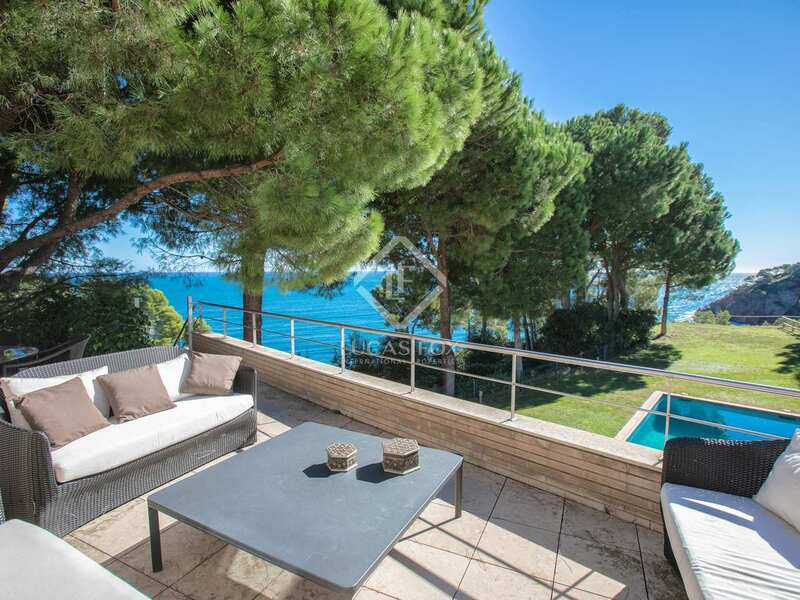 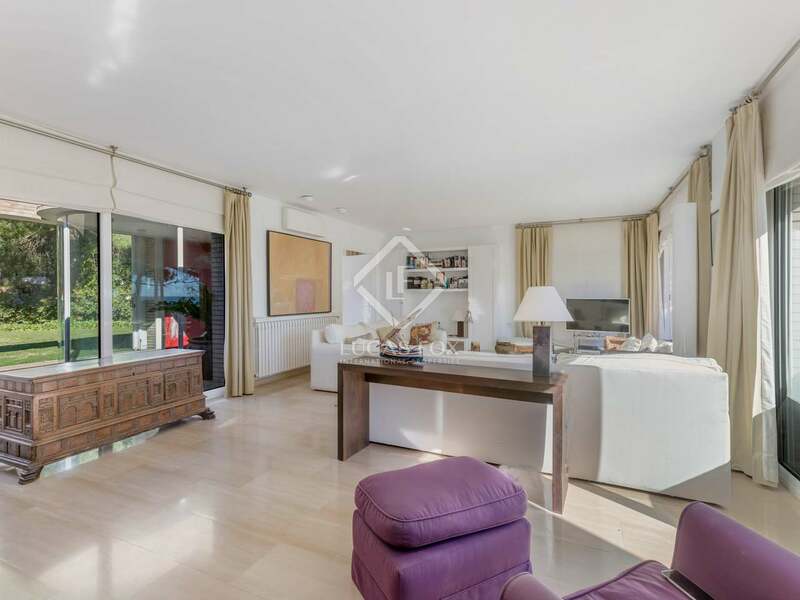 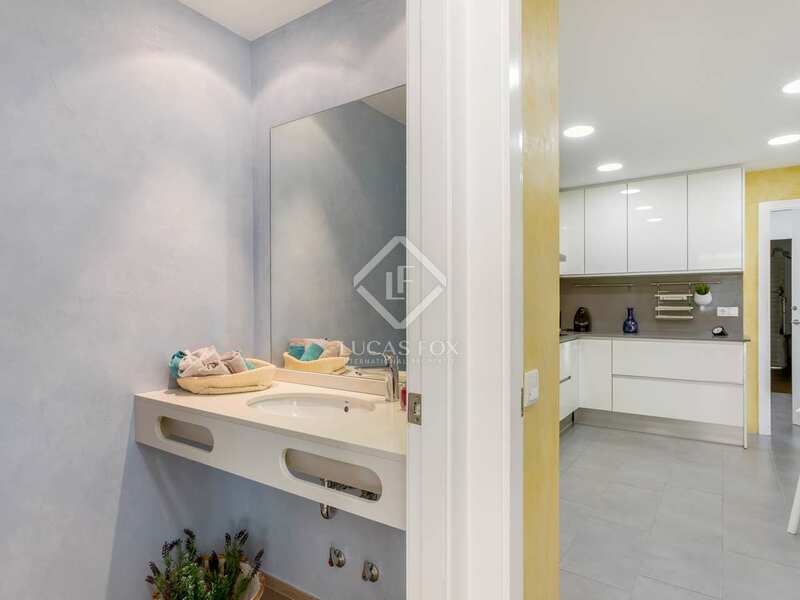 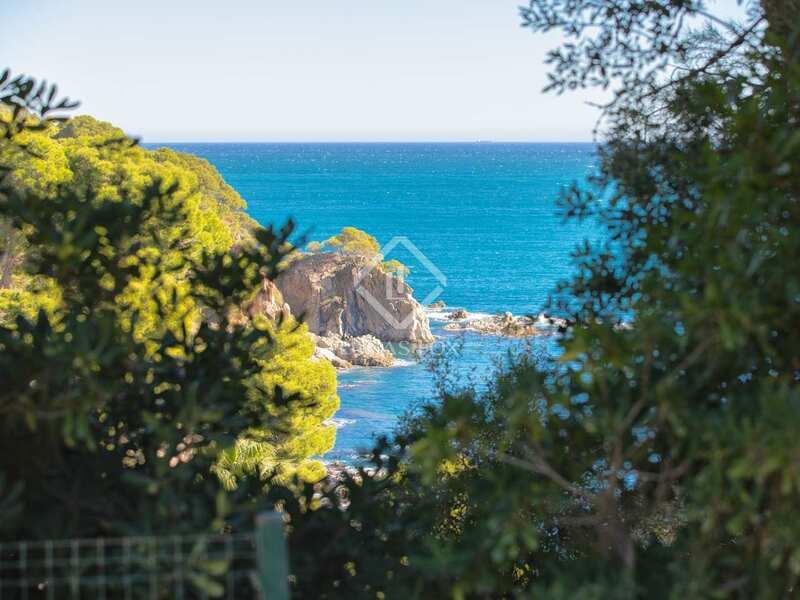 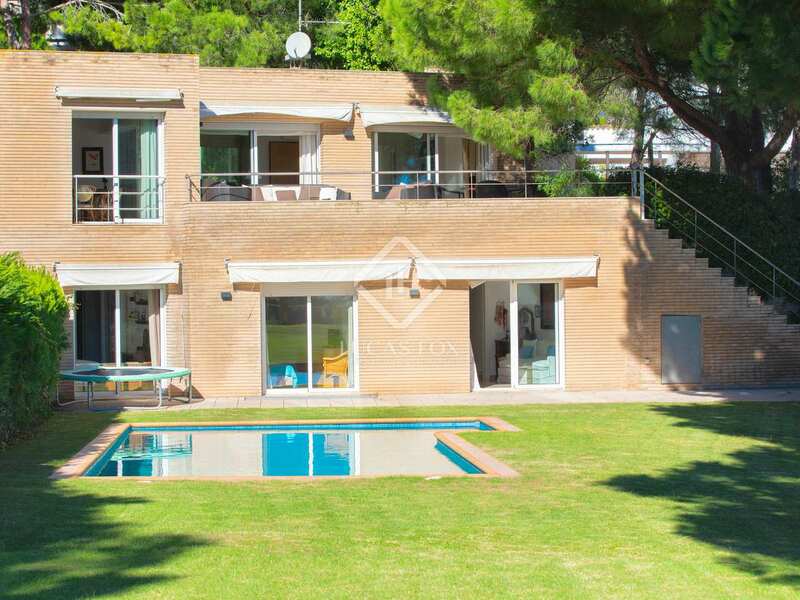 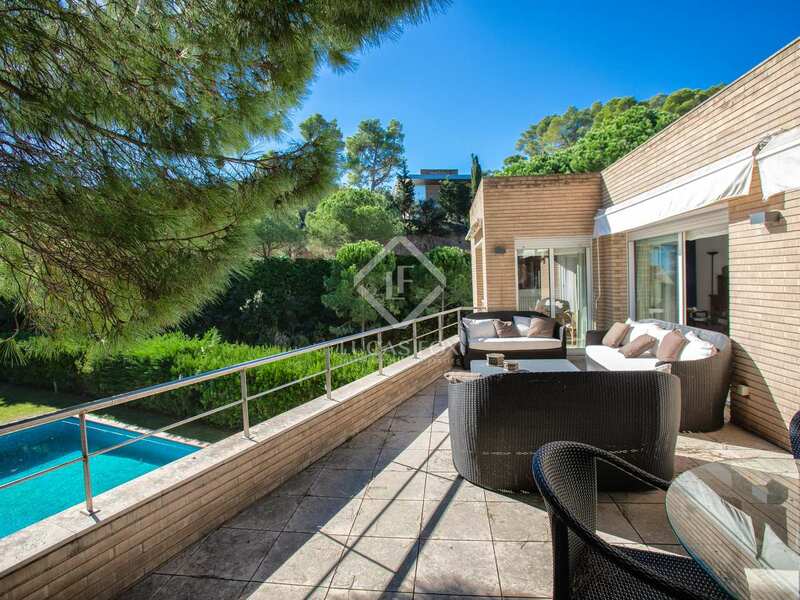 This magnificent renovated semi-detached house, with a garden and private pool, is located on the seafront in Calella de Palafrugell and enjoys spectacular views of the Mediterranean Sea. 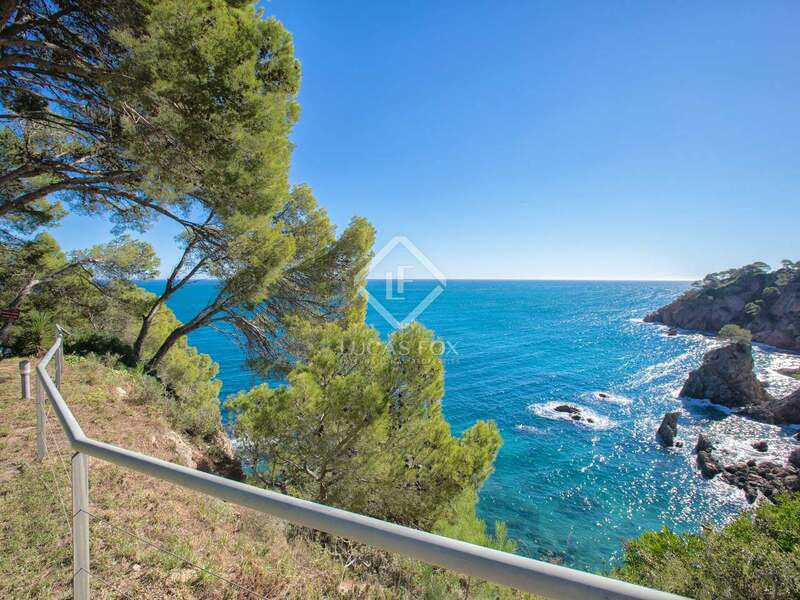 Less than 5 minutes from the beach on foot, it would make an ideal second residence or investment opportunity for holiday rentals in one of the most requested destinations amongst national and international clients. 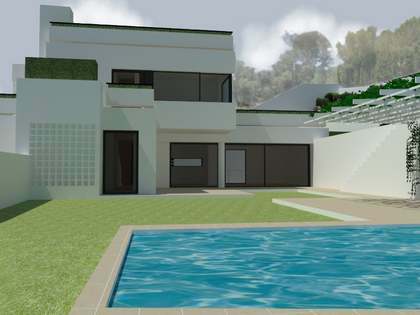 An automatic access gate gives access to the garden which leads to the house. 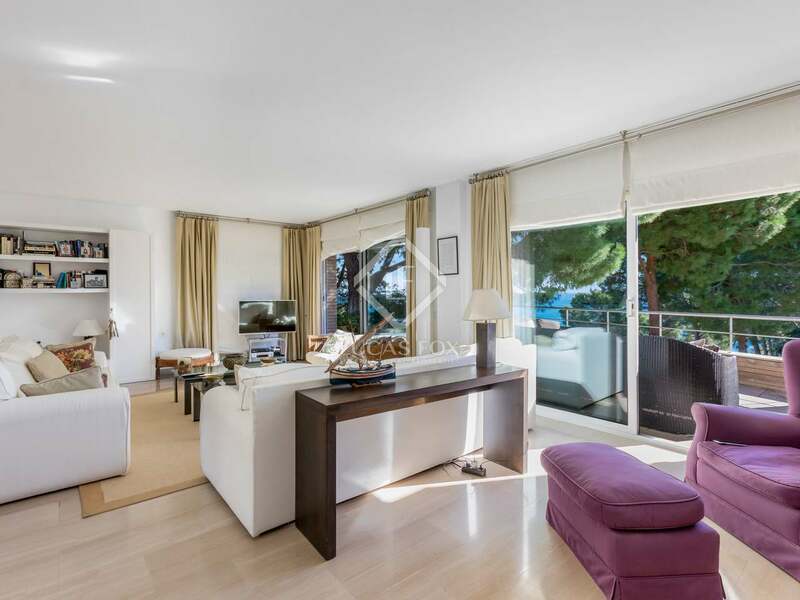 On the main floor, which is the day area: we are welcomed by a spacious living-dining room with spectacular views of the Mediterranean Sea. 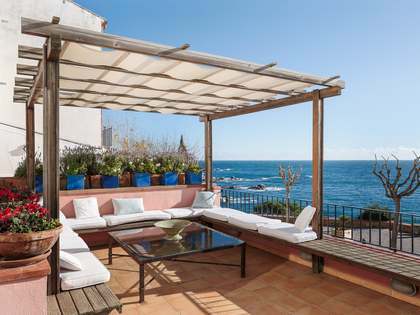 This room has direct access to a beautiful terrace with spectacular views of the sea, the garden and the private pool. 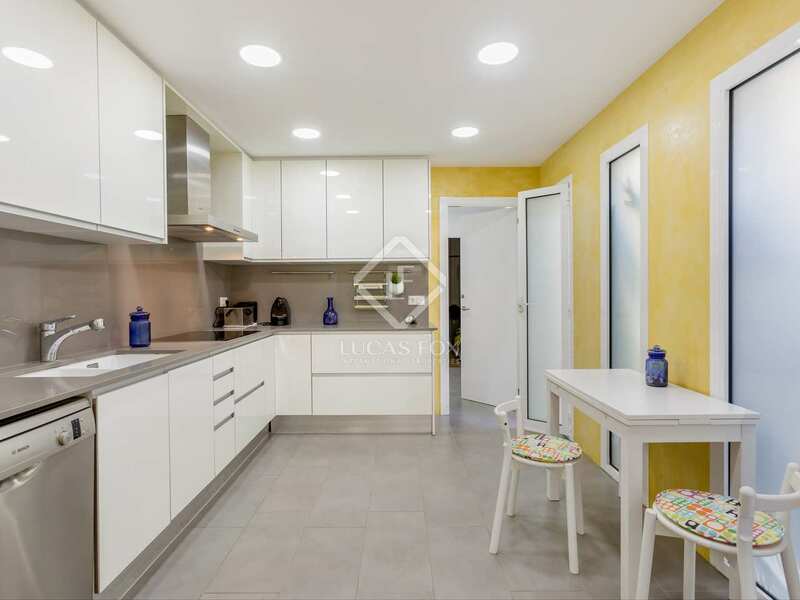 This floor also has a fully equipped kitchen, a guest toilet, laundry room and a one-car garage. 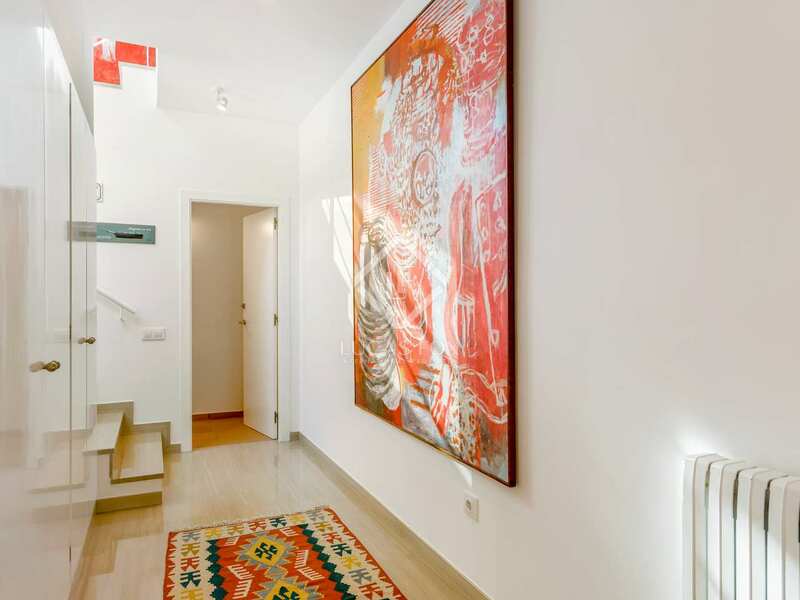 Stairs lead down to the ground floor, which forms the sleeping quarters. 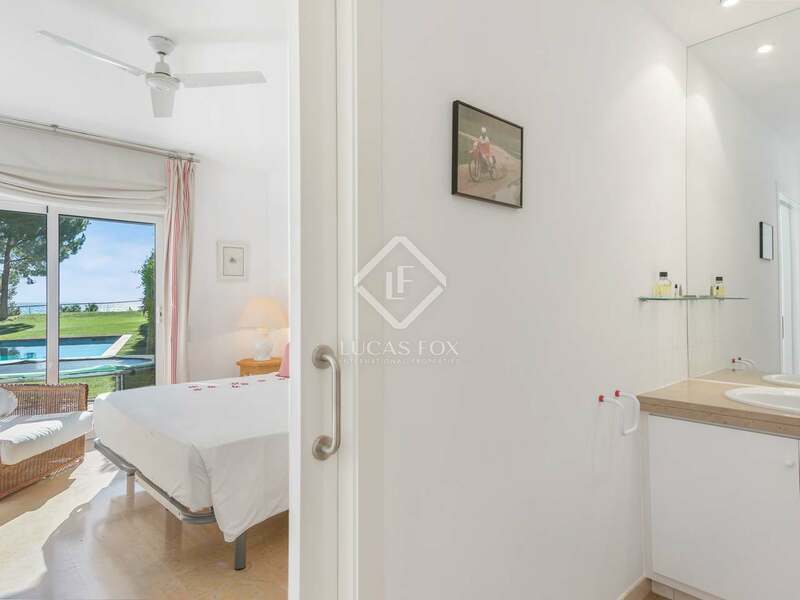 Here we find 3 double rooms with en-suite bathrooms, complete with a bathtub and with direct access to the pool and garden, 1 double bedroom and 1 full bathroom with a bath. 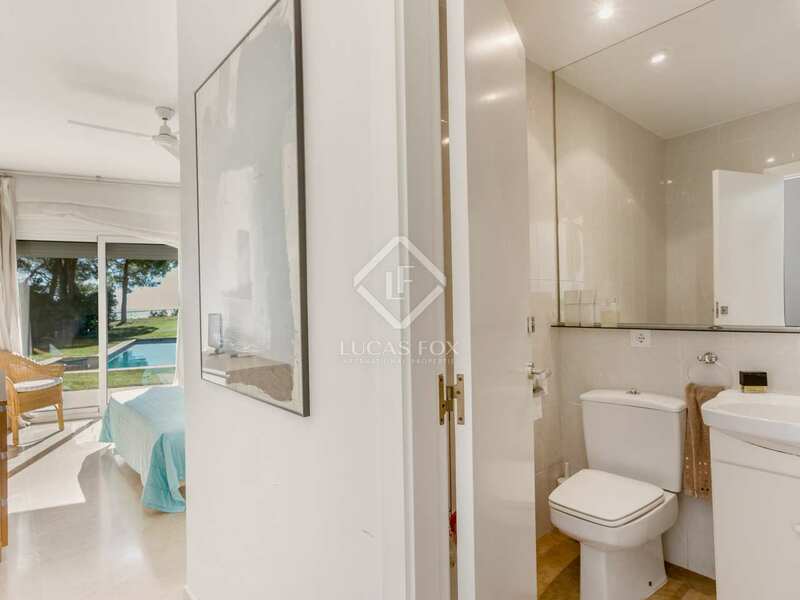 A suite with a bathroom and a small living room with a bedroom for the service complete this floor. 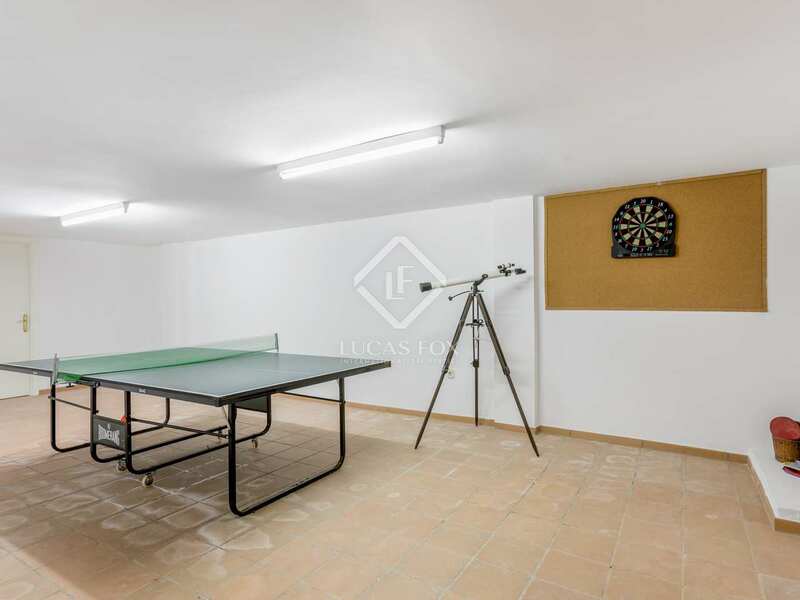 In the basement there is a room ideal for use as a home cinema or reading room, another that could be used as a gym or games room, and finally, the mechanical room. 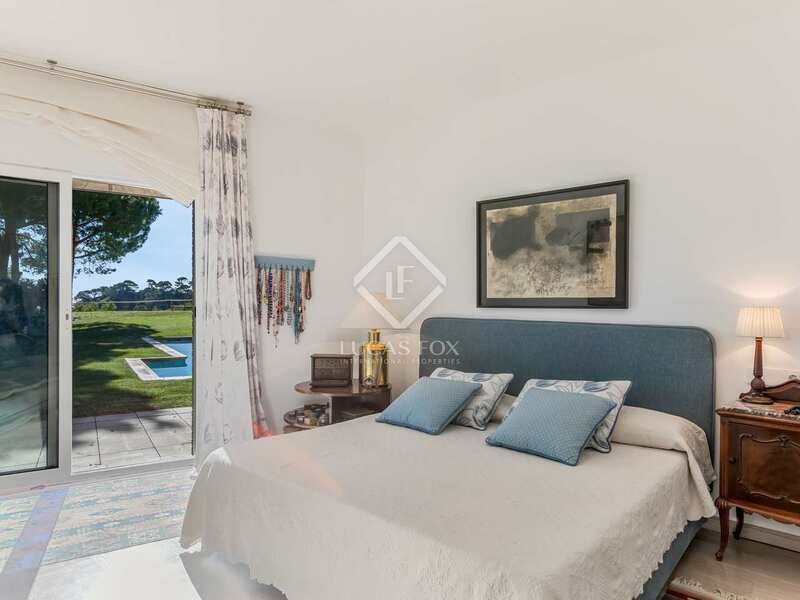 The house is fitted with double glazed windows, oil heating radiators and an air conditioning heat pump in all rooms to ensure year round comfort. 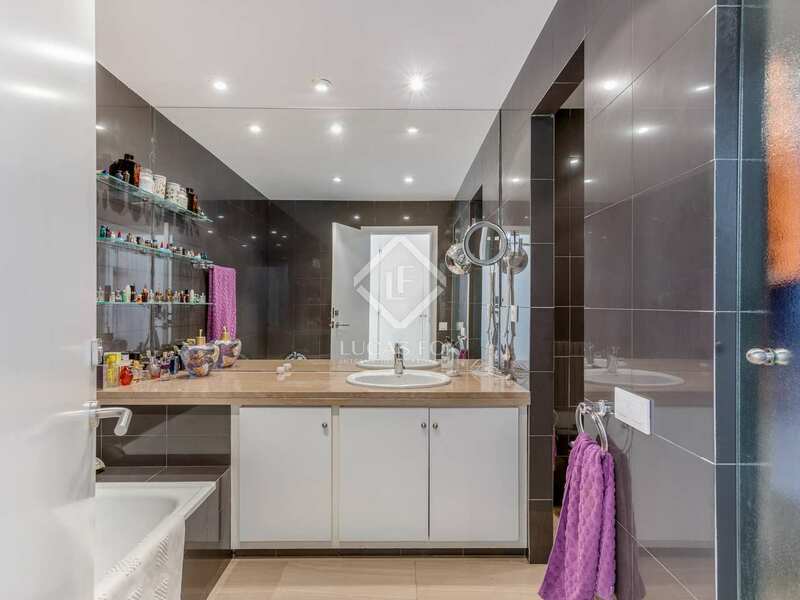 A further notable feature is the marble flooring. 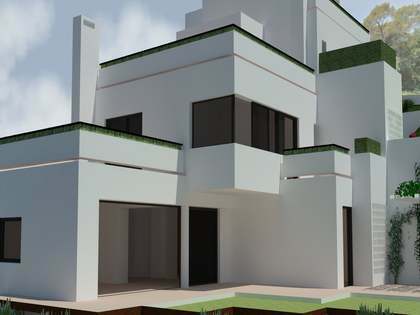 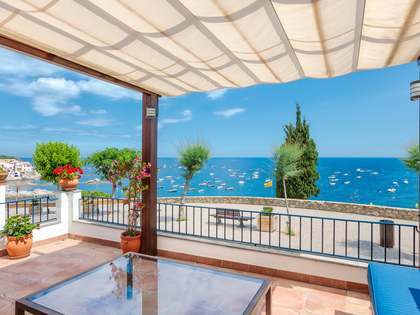 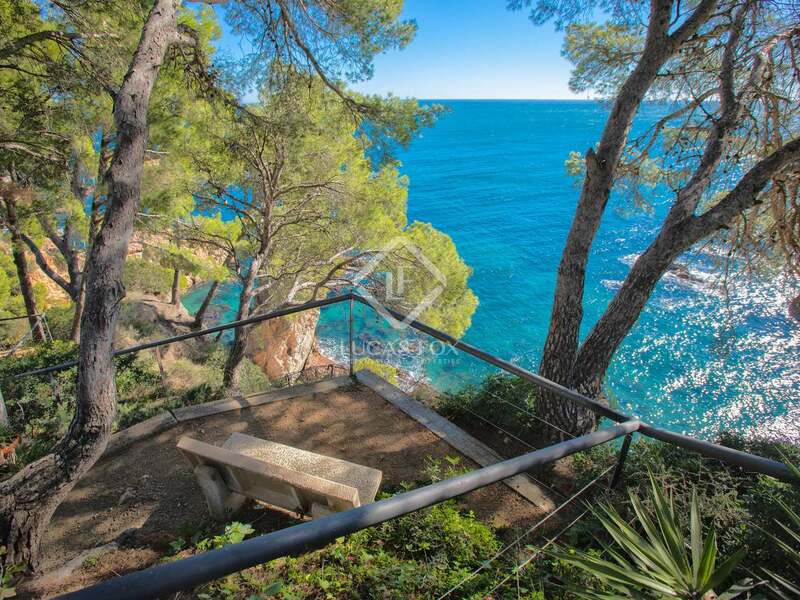 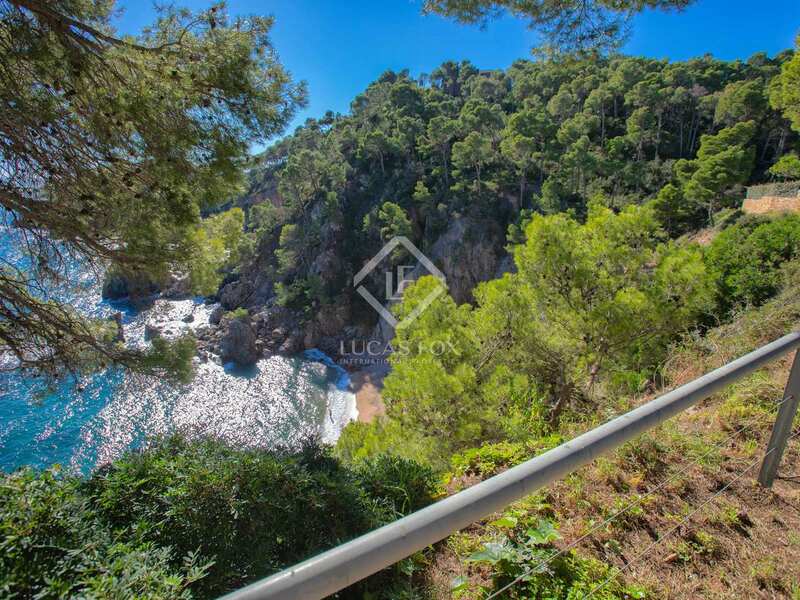 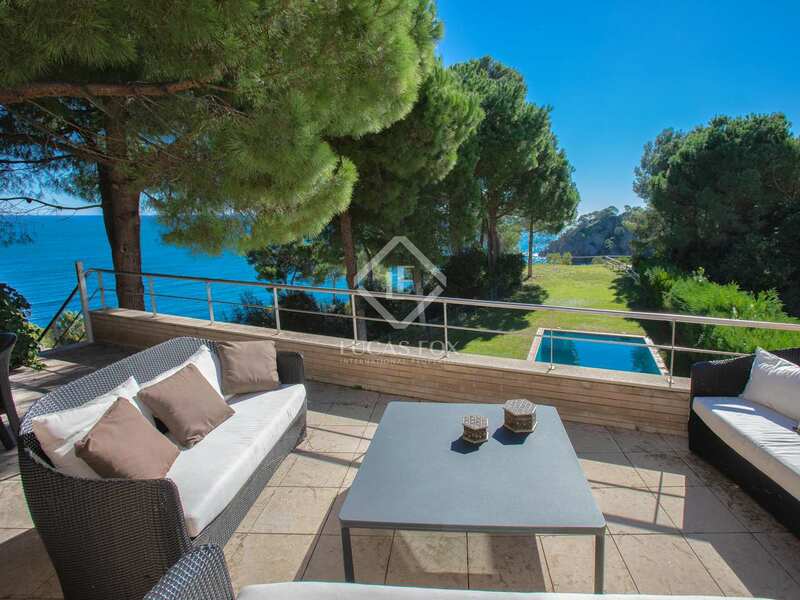 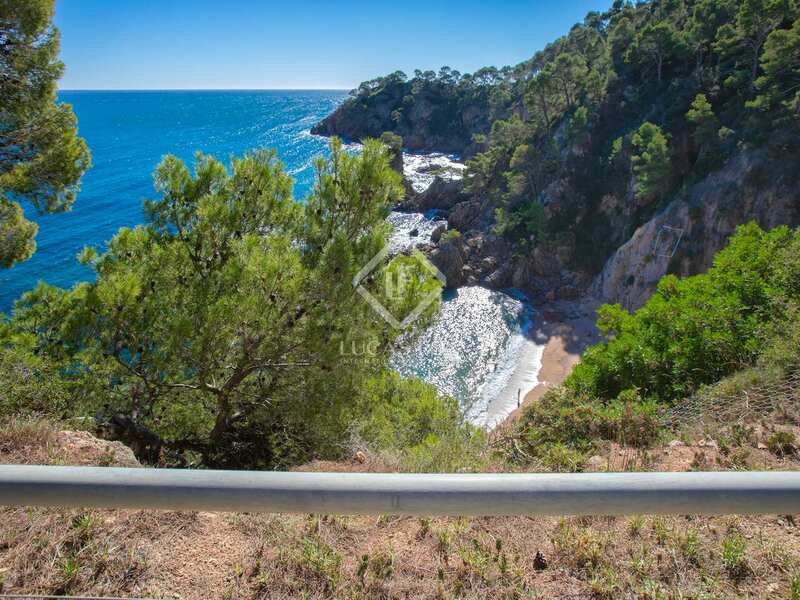 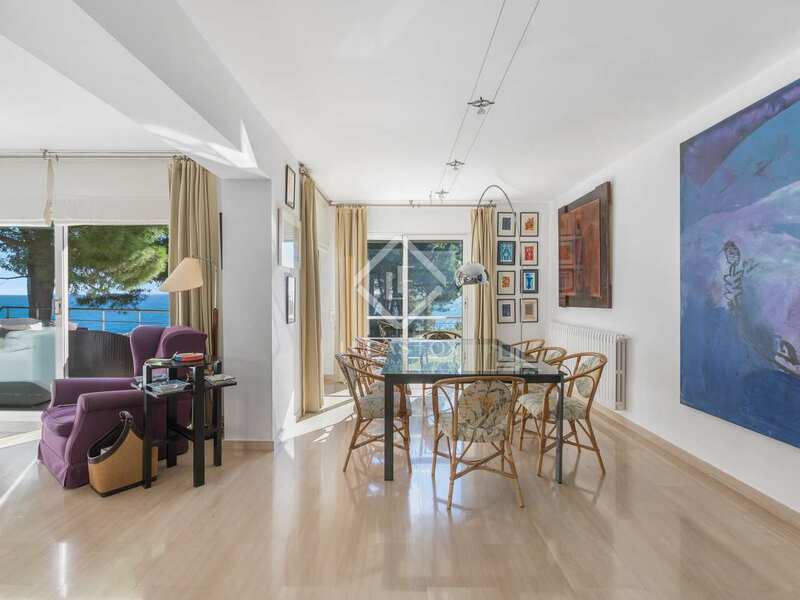 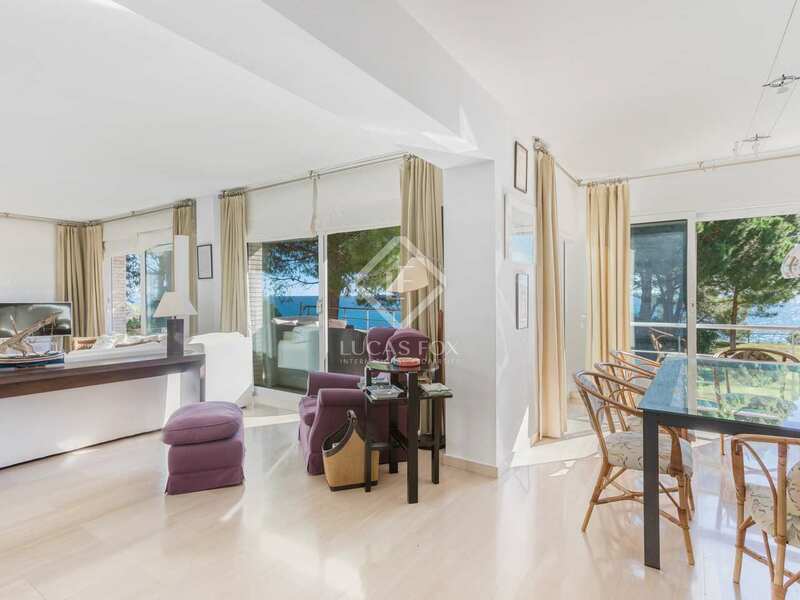 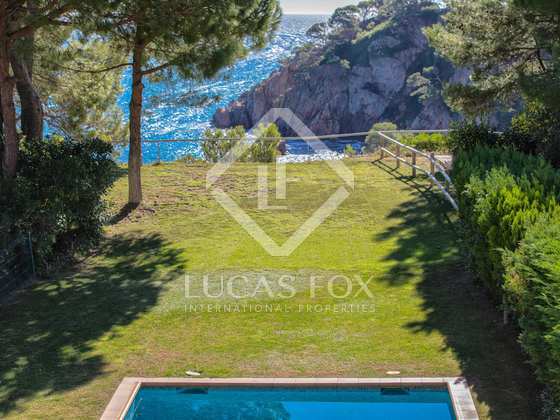 Contact us to for more information about this beachfront property in Calella de Palafrugell. 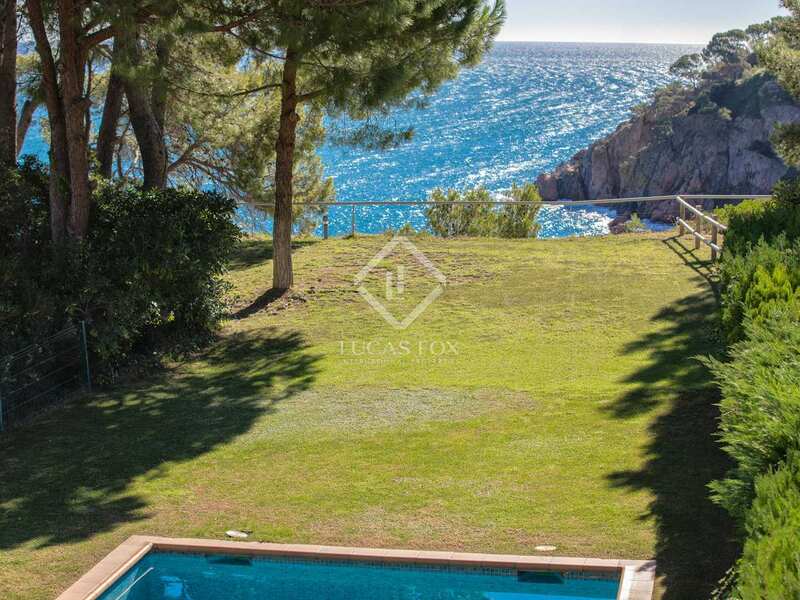 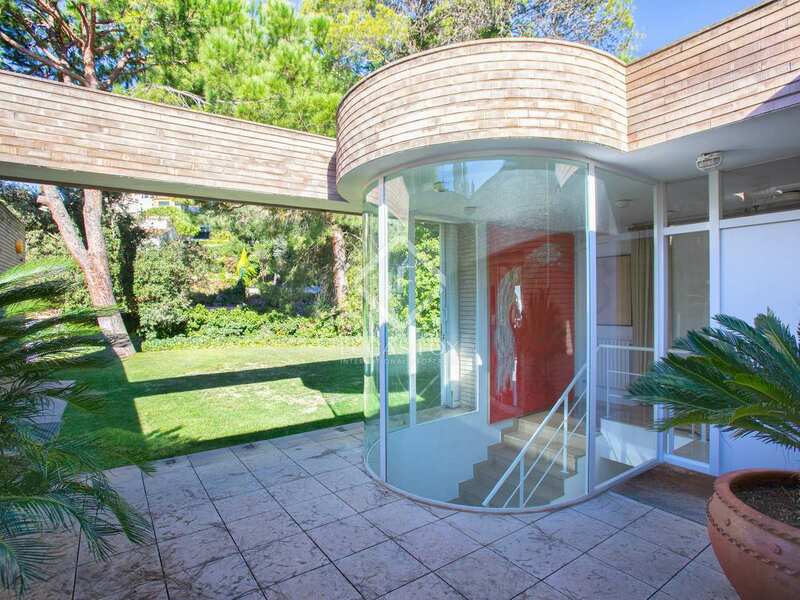 The house is located in front of the beach of El Golfet, in Calella de Palafrugell, one of the most sought after towns on the Costa Brava. 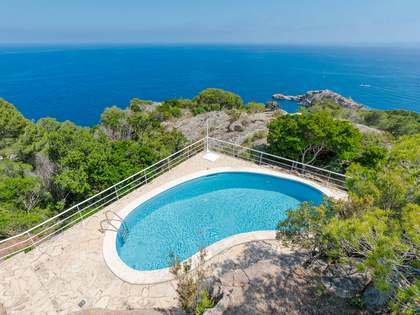 This house enjoys a privileged location: surrounded by nature and with spectacular views of the Mediterranean Sea, it is just 5 minutes walk from El Golfet beach.